From Leonardo da Vinci to the Venus de Milo, the Louvre Museum in Paris has the most extensive art collection in the world. The Louvre covers more than 2,000 years of art history going back to the ancient civilizations and the birth of art as we know it. 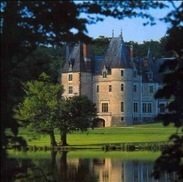 You'll see the French masters as well as masterpieces of the Italian Renaissance. You'll even get to view the royal crowns of French emperors and kings. How Can You Avoid the Lines at the Louvre? You should know by now that we hate standing in lines, and one of the main aspects to our Paris planning is figuring out how to avoid them. This is an important thing to think about at the Louvre — it gets nearly 10 million visitors every year, so you know there is always going to be a line to contend with. Let's look at some options. While we hate line-ups, we love guided tours, especially in museums. Especially in crowded museums! Since we started signing up for guided tours we've learned so much more, we've saved time, and we've had more fun. We're converts. But remember, these tours tend to sell out, so be sure to book early. One of our most appreciated pieces of advice is to get ahold of the Paris Insiders Pass. This gets you free entrance to 60 museums, including the Louvre. More importantly to us, it lets you skip the ticket lines. There's more information in our review, including the best way to buy the pass. You can book Louvre tickets in advance and pick them up at an easy-to-find office only 5 minutes from the museum. Having them in hand lets you skip the lines at the ticket booth. Among the thousands of works at the Musée de Louvre you're sure to recognize quite a few. Some of the most famous paintings and sculptures ever produced have found their way into the permanent collection of this museum. 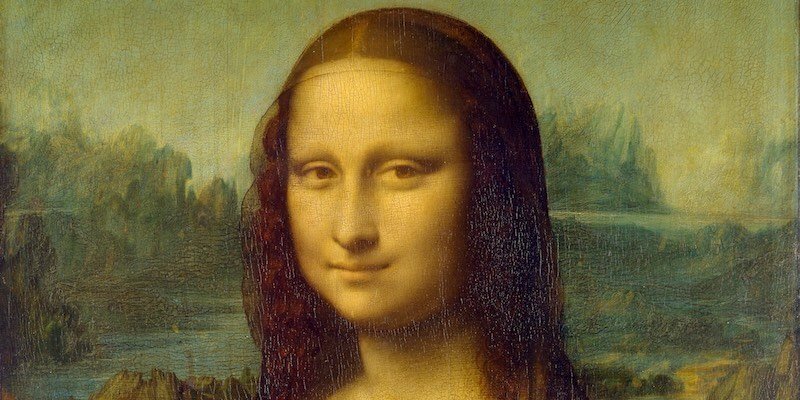 To help with your planning we've put together a guide of some of the best works of art in the Louvre. Like so many French museums, the Louvre's website is as rambling and as hard to navigate as the museum itself. But, don't worry. We're going to give you a few short lessons on how the museum is organized. We'll also include some helpful highlights, history, and tips for each of the departments of the museum. The history of the Louvre is as fascinating as the story of the works of art it contains. The Louvre started life as a fortress, in the 12th Century, and then later was used as the royal residence for centuries of French kings. It lasted through revolutions, wars, occupations and long periods of housing government bureaucrats to become the famous art museum it is today. Yes, the Louvre has certainly seen plenty of changes over the centuries. 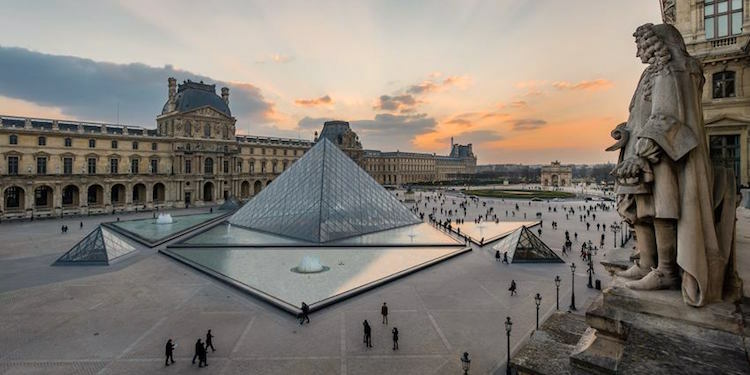 But some of the most striking and extensive changes to the museum occurred in the late 20th century, with the complete renovation of the building and the addition of the Louvre Pyramids to the courtyard. 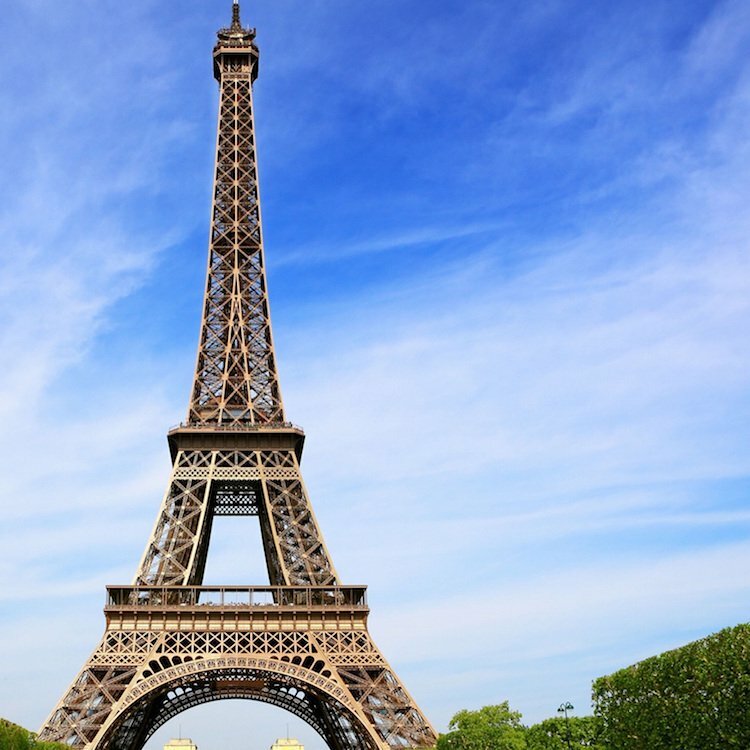 Learn more about the story behind this latest Paris icon. Looking at forty centuries of magnificent art makes us… hungry. So, when we're going to spend a long day at a museum as important and as large as the Louvre, we want to make sure we know what to do when we get hungry. Because it's in Paris, you can be sure that there will be at least a couple of good dining choices at the Louvre. In fact, we review 7 or 8 restaurants and cafes found in and near the museum, and we reveal our faves. 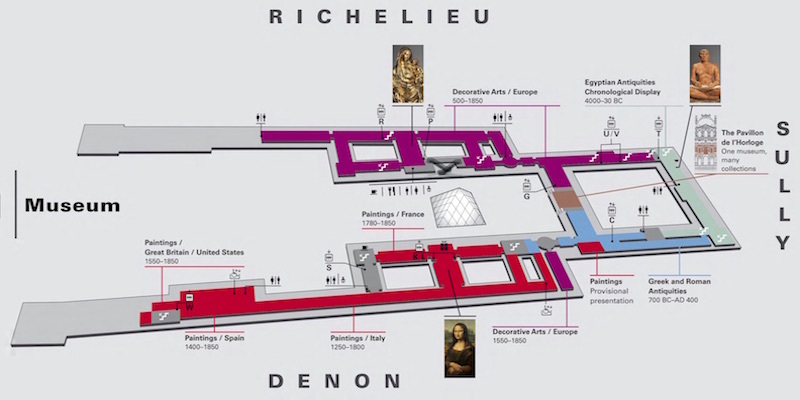 The good news is that the Louvre is infusing €60 million to revamp its entrance and ticket areas. Jean-Luc Martinez, the new director of the Louvre, wants to ensure that the Louvre remains accessible and up to date. Can believe that in 1989 a mere 3 million visitors made their way to the Louvre. By 2015 that number more than tripled to 9.8 million. Monsieur-Director Martinez is also creating a rotating educational center and has an ambitious plan to translate almost 40,000 art display descriptions into English. There will also be WIFI downloadable explanations in other languages. Another bold move is his fundraising plan, which include crowd-sourced funding. 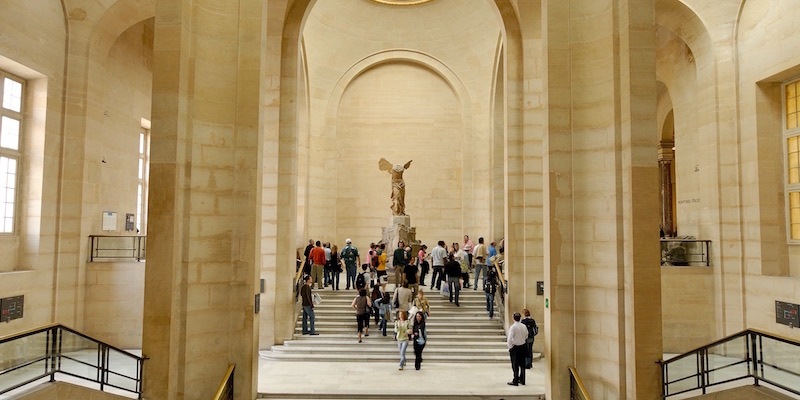 The Louvre is hoping to raise €1 million from the public to restore the Nike of Samothrace and its connecting Daru staircase. In an effort to save money Martinez will reduce the number of temporary exhibitions from 20 to 10 annually, focusing on shows that reinforce their amazing permanent collection. 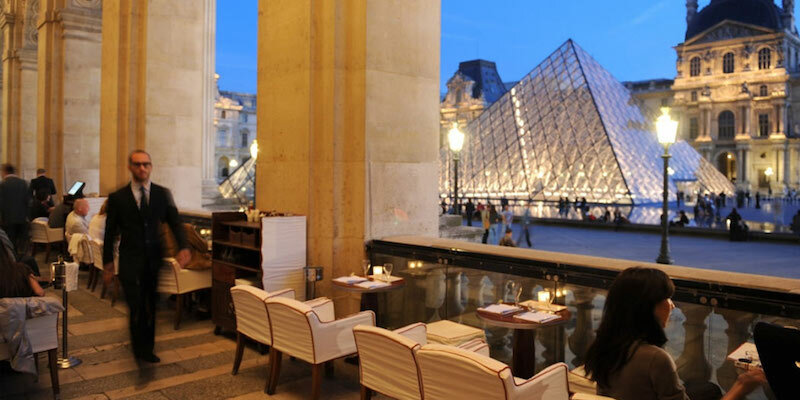 After a visit to the museum we like to take in the view of the Louvre pyramid from a table in the colonnade at Café Marly. 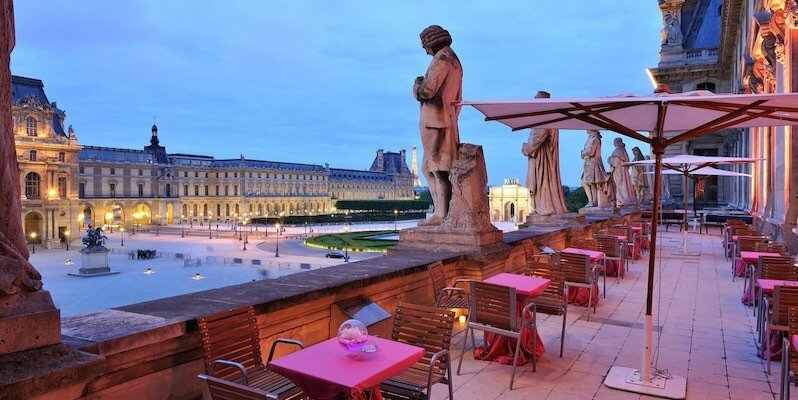 It's great to enjoy a glass of champagne with Parisians while overlooking the courtyard of this most famous of museums. We don't recommend Marly as a lunch or dinner place, but it's great for a glass of bubbly. It's hard to believe that until relatively recently, the courtyard was used as a parking lot for the bureaucrats who worked at to government offices that used to be houses in the Louvre! 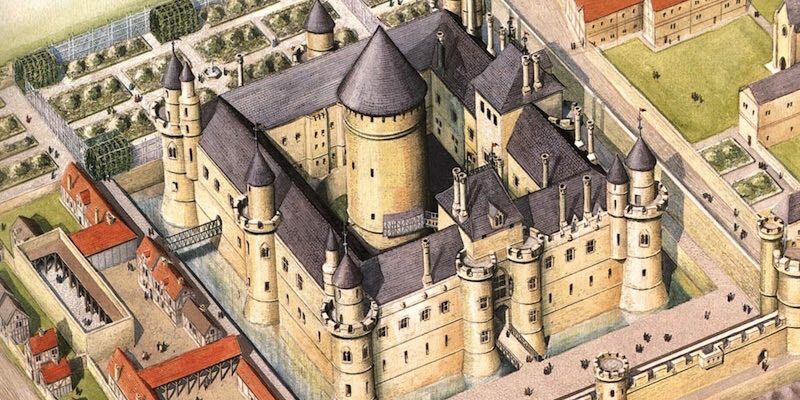 The Louvre started rather modestly back in the twelfth century. In the 900 years since then it has seen a lot, and now it's the most popular museum in the world with nearly 10 million visitors every year. The Louvre collection includes more than 380,000 pieces. 35,000 works are displayed at the museum at any given time. There are 4,000 paintings by French artists. The museum's oldest collections are from the ancient civilizations in Egypt and Mesopotamia. The exhibition area is over 650,000 square feet. Looking for a shorter line-up? Use the Galerie du Carrousel entrance to the Louvre. Take the stairs found in the Tuileries, near the Arc de Triomphe du Carrousel.